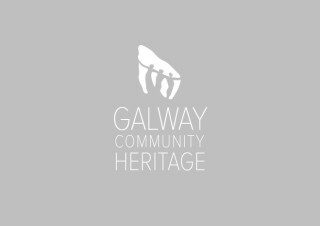 We can leave the Church Grounds by walking down Chapel Avenue past the estate of five Houses for the Elderly which was officially opened by the then President of Ireland, Mary McAleese, on March 4th, 2009. This space was formerly the site of the Catholic Curate’s garden and house. Alternatively, we can walk or drive out the main avenue and turn left towards the Main Street. We then see the next point of interest which is Trinity Church on the right, at the east end of the village. This church is an important link with the past and was constructed to serve the number of Protestants in the parish in the mid 19th century. In its day it was one of the smallest and most picturesque in the Diocese, being a Chapel-of-Ease or church building erected to accommodate worshippers who were unable to travel to the main Church in Eyrecourt. The fine stone used in its construction was reputedly transported from a quarry in Ballinasloe by horse and cart, by various families including McVales, Horsemans, Johnsons and Howards. The Church was of Gothic design, built of the dark stone of the locality, ‘with quoins and dressings of the white limestone of Ballinasloe’. Inside, the benches were simple and the roof open-stained and varnished. The chancel window was filled with stained glass which showed an open Bible and appropriate text “The Lord is my Light”. Trinity Church, it appears was opened on Wednesday 21st January, 1863, by the Bishop (un-named), who recited the Litany and afterwards preached an appropriate and touching sermon. The Service commenced with the singing of the 100th Psalm; Morning Service was read by Rev. T.H. Cross and the Lesson for the Day was read by the Venerable The Archdeacon of Clonfert. After the opening ceremony a collection was made in aid of the building fund; the contribution, including that from people unable to attend, amounted to almost £17. The Bishop and clergy were then entertained by J.P. Watson, Esq., at Stowlin House. Many members of the Royal Irish Constabulary serving in the parish, together with their families, worshipped at Trinity Church. Other families who attended services there were: Richard Johnston, Harriet Johnston and Arthur Johnston who were farmers in the area about 1888 and 1889: Alfred Borraine Persse, Gladys Persse and Geraldine Florence Persse, Ormond View, Ballycrissane, 1899; Henry Edwin Thomas Sparling, Norah Maud Sparling and Matilda Sparling who were merchants in Killimor circa 1891; William Arthur Carr, who was a coachman in Hearnsbrook around 1898, together with George, Keith and Mary Carr. With the decline of Church of Ireland families in the area, it was no longer feasible to keep the Church open. After religious services were discontinued in the Church, the building was used for some years as a sub-office by Bank of Ireland, Portumna. The bank closed this particular facility circa 1988. 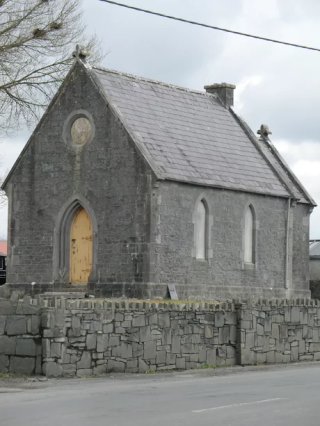 The Church building was also used as a venue for participants in Fleadh Cheoil, Co. na Gaillimhe, in the years 1987, 1988 and 1993. The Representative Church Body eventually sold the premises to Brendan Lynch on 23rd November, 1992.